This cute, comfortable dress pattern is a brand new pattern, created in collaboration with Fat Quarter Shop. 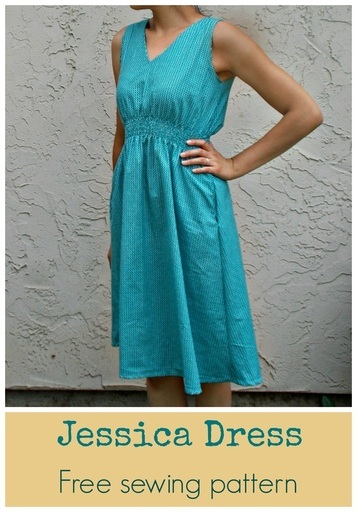 The Jessica Dress free pattern features a simple, flowy dress, yet with lots of personality. The front V neck flatters every woman's body by elongate the torso, while the half-moon, cut out back will make people to look twice at this design! This dress is not only flattering, but also comfortable for an everyday use, with a shirred waistband and a knee length skirt.